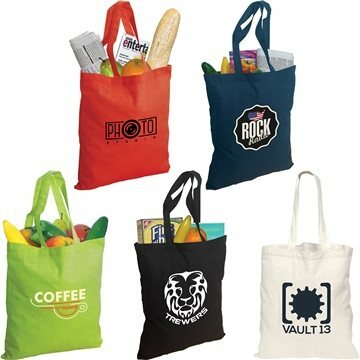 This lightweight but durable bag is made with 4.5 ounce cotton. It is inexpensive and features two 20" self-material handles/shoulder straps. Great book bag or convention tote.